Do you struggle to cook family meals on a budget? It doesn’t matter how many kids you have, buying the food, making dinner and getting everyone to eat the same meal is a full-time job. Keeping to a strict budget is nearly impossible if no one eats the same meals. The thought of prepping an evening meal can put most of us off meaning that we turn to easy yet expensive convenience food. 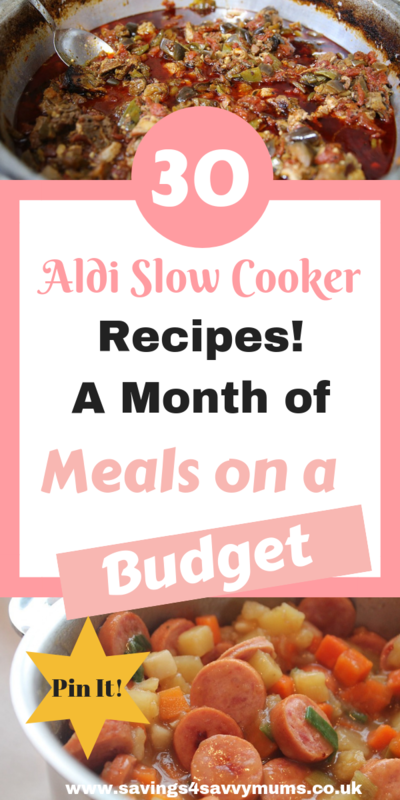 Having a slow cooker and a bunch of slow cooker family meals on tap is a great way to bring down your grocery food shop while feeding everyone a great meal. You don’t even all have to be there at the same time to enjoy the meal. The great thing about a slow cooker is that you can leave it in there for later. Perfect if anyone has evening clubs to get too or if anyone works shifts. Being prepared is the key here. Meal planning and knowing what staples you have in the kitchen can really save you money. Owning a slow cooker makes preparing food so much easier. You can even make them ahead of time to be ready when you get in and use them as leftovers if you too much. Before you do anything though make sure you have a great slow cooker. We use a slow cooker that has different heat settings. Then the week before you plan to use your slow cooker or even shop, start by using these 4 tips to really get your food shopping bill down. Remember to come join our FREE Facebook Group for all the latest deals, freebies and quick family money saving tips! 3. Use an app like Plum* to keep track of your spending and to help you save. Using Plum* can help you build up your savings, pay off dent quicker and invest to make your money work harder. It’s free to join! 4. 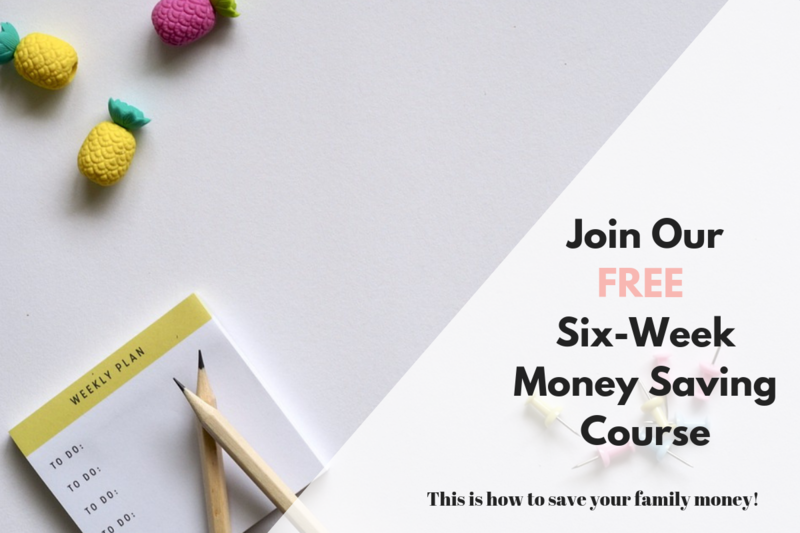 Join our 6-week FREE money saving course that walks you through how you can save your family money. No filler. Just real tips and advice from us on how we save money daily. The good thing about a slow cooker is that you can set it off in the morning and leave it till you need it. If you’re not convinced that it will work for you, why not try swapping two meals a week to one of our slow cooker recipes below. All the ingredients for these recipes can be brought in Aldi and can be swapped and changed depending on your mood. All use your basic kitchen staples. Just remember to re-add them to your shopping list as you use them. Grab your free Aldi Dinner Meal Plan here. We all know that slow cooking food is a budget-friendly way to cook, but by adding frozen vegetables, pulses, and cheap cuts, the price of a meal really does plummet. If you can’t handle thinking about a month’s worth of food then do a week and go from there. Try and think about the meats you are going to use. Is it cheaper to buy a bigger piece of meat if it does two meals? What food waste will you have? 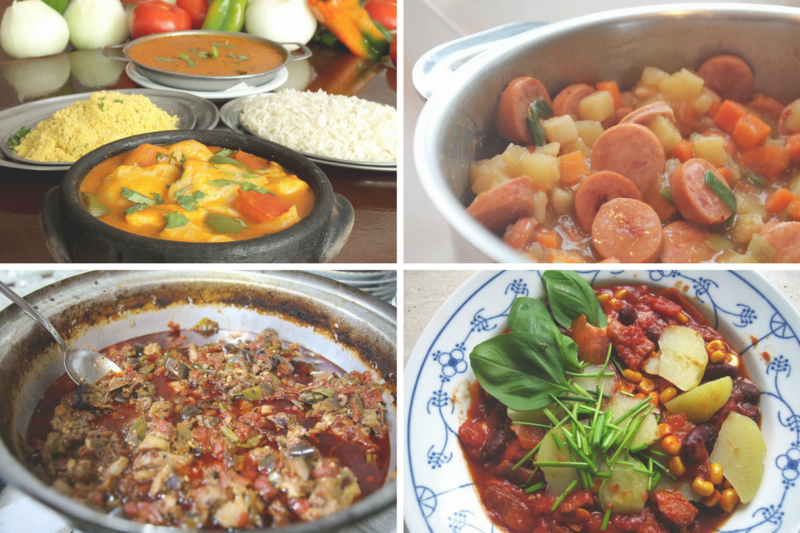 Can you use anything in the slow cooker recipe to make sure you have/haven’t got any leftovers? This soft and smooth slow cooked curry is packed full of kitchen staples. Add frozen peppers and onions to keep the price low too. Adding in the coconut milk and peanut butter makes this a really easy gluten-free recipe for all. Use our basic Bolognese sauce and leave it to cook day. Chuck in the mushrooms near the end while the spaghetti is cooking. Perfect for those “can’t be bothered” days. Try and eat one meat-free meal a week, and this Shepherd’s Pie is one of our all-time favs. Hide the lentils easily and mash sweet and normal potatoes for an extra bit of flavor. Leave the bacon out of this bean recipe to half the price, and it makes a great leftover dish. You find another recipe cheaper than this Sausage Stew! Everything is pulled from your kitchen staples. We like ours with baked potatoes or crusty bread. This is the perfect Mac ‘n’ Cheese for a Friday night treat. So simple you can do this with your eyes (almost) closed. Use frozen mince, onions, and peppers and chuck it all in with our Bolognese sauce. Leave to cook all day and you won’t be disappointed. 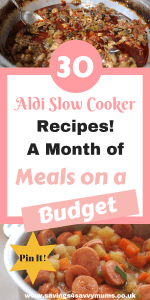 We rotate these seven easy slow cooker meals throughout the month and add our Aldi slow cooker recipes below depending on what the family fancies. If you’re looking for more Aldi recipes, then try our 101 Aldi Recipes That Will Give You Dinner Ideas For Tonight post here. 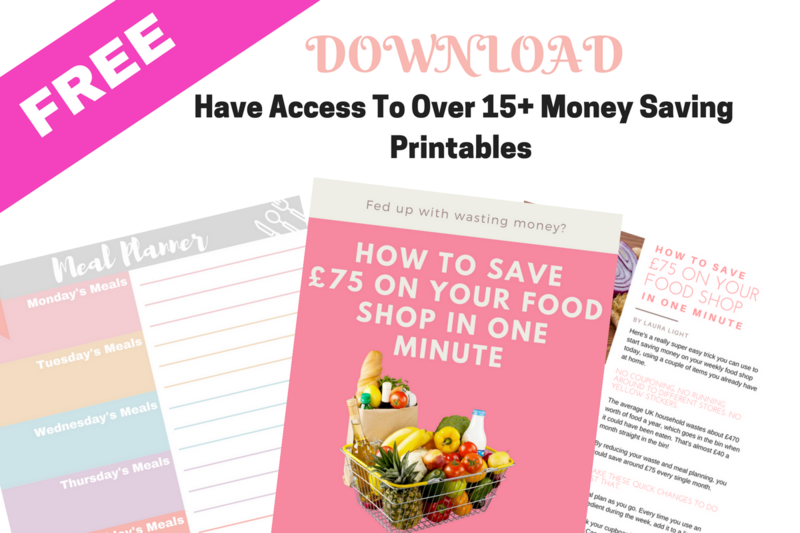 If you find meal planning hard then come join our Facebook group Money Saving Mums and get access to The Resource Vault with access to over 15+ money saving printables. This includes our easy slow cooker meals meal plan, available exclusively to subscribers! We’ve included two basic calendars. One gives you my month worth of easy slow cooker meals and the other is a blank calendar so you can make your own. Each calendar is a PDF, so you can print as many as you need for FREE. This really goes take the guesswork and thinking out of trying to cook or fill a meal plan. If you’ve never meal planned before then please read our post on how to get started with meal planning here. It really can save you hundreds of pounds! It gives you a plan you can use to help you buy food more wisely and stop you staring in the fridge for 5 minutes trying to think what to make for dinner tonight. I’ve signed up for your site. 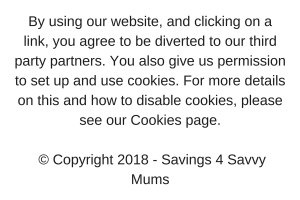 I’d expected to find the free Aldi Dinner Meal Plan, but instead, I’ve come back to the original site and am asked to sign up again – an endless circle. Could you clue me in on where to look for this meal plan?